Match of the Day spin-off with the latest from the world of footie as well as top players and pundits. Browse content similar to 18/02/2017. Check below for episodes and series from the same categories and more! We bring you our top five FA Cup goals of all time. and we've got five fantastic clips of your skills. He might be a pro footballer, but I still reckon I can beat him. All that and more to come so don't go anywhere. World Cup winner and reigning world Player of the Year, Carly Lloyd. Look at that. A magnificent effort! What a golf. head over the ball to make sure it doesn't sky into the keeper 's head. this week saw five goals they would rather forget. That was unstoppable. rather. But I'm Josh, most importantly the better football. that ten? Is that 1-0 made? You said three attempts! I would go again. you. See that being? Who can hit it the most? Cleaned it! He'd got it again. Another plane hit. He's shanked it. interceptions and the way he plays forward, he was one of the best. when he looked injured and out of it! 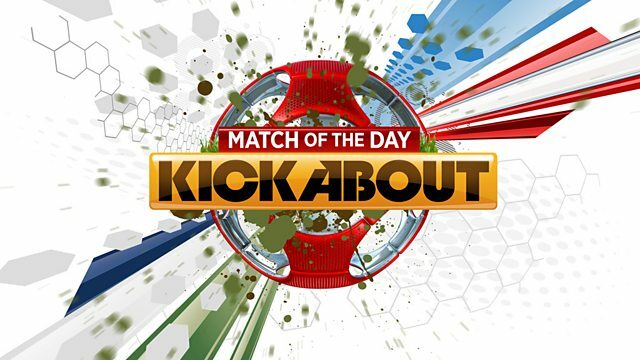 Match of the Day spin-off aimed at children aged 7 to 13, bringing viewers the latest from the world of footie as well as top players and pundits. Featuring goals, gossip, stats and skills, and all you need to know about the nation's favourite sport.